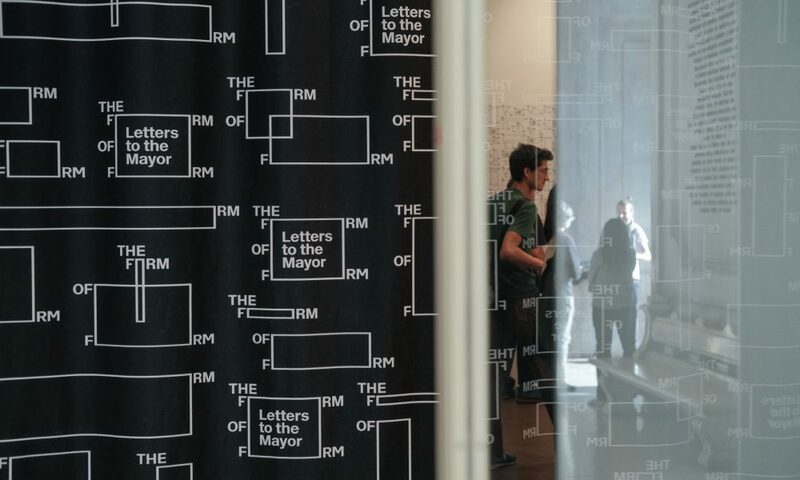 Letters to the Mayor — Lisbon aims to explore the potential of an ephemeral architectural event, such as a biennial or a triennial, for creating an enduring contribution to the host city. With this in mind, all participants in The Form of Form were invited to contribute to this exhibition by writing letters to Lisbon’s Mayor. As the letters come from a wide range of countries and regions, the ideas and proposals for Lisbon range from external, comprehensive views of the city to very specific insights on its governance, grounded in detailed knowledge of how the city functions, its needs and its aspirations. The aim was also to ensure the letters would be delivered by hand to their recipient – as a very particular postal service. The opportunity to hold the exhibition in Lisbon’s Municipal Gallery, at the entrance to the very same building that houses the office of Lisbon’s Mayor is both a symbolic and literal way of getting the messages through. One year prior to the local elections, the Lisbon City Council’s openness to hosting the exhibition can already be interpreted as a form of response. Letters to the Mayor. Revised and Expanded Edition.